It should come as no surprise to folks in the MMORPG community that games tout their intentions to constantly release content updates post-launch. However, a lot of games never really get around to it – or – focus so much on new updates that they forget to patch, balance, and correct any existing bugs and major gameplay issues. ESO has hopped on the bandwagon stating, “[we] know that players are amazing in their ability to chew through content quickly, so we want to make sure there is a constant stream of goodies coming to them”. I still haven’t gotten into the beta, but have seen a lot of the gameplay through *cough* other means and they offered nearly 30 minutes of gameplay footage at QuakeCon 2013. I’m hoping they’re able to offer updates as consistently as GW2 and with as much additional content. 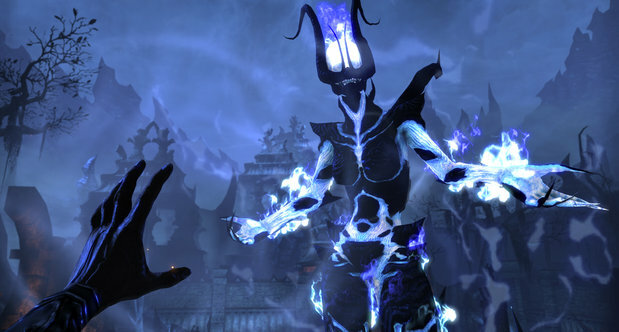 The primary goal right now for The Elder Scrolls Online ready for release early in 2014. But MMOs live and die by their post-launch support, a fact that developer Zenimax Online is certainly aware of. Creative director Paul Sage discussed their plans with Shacknews. Sage said beta testing for the game has proven enlightening for the team. While the game will see numerous betas through development, the latest one has proven a theory that the development had about the user interface.